Yes, I know it is mid-June, but it is been busy! And for this post it was the three-week garden because I had been in Portugal – yes, wonderful! And there will be posts about Portugal on London Traveller. The garden in Suffolk hadn’t grown quite as much as I expected in my absence, but with the help of a kind neighbour it has come through the dry weather; nevertheless the weekend was spent watering and doing some gentle tidying. 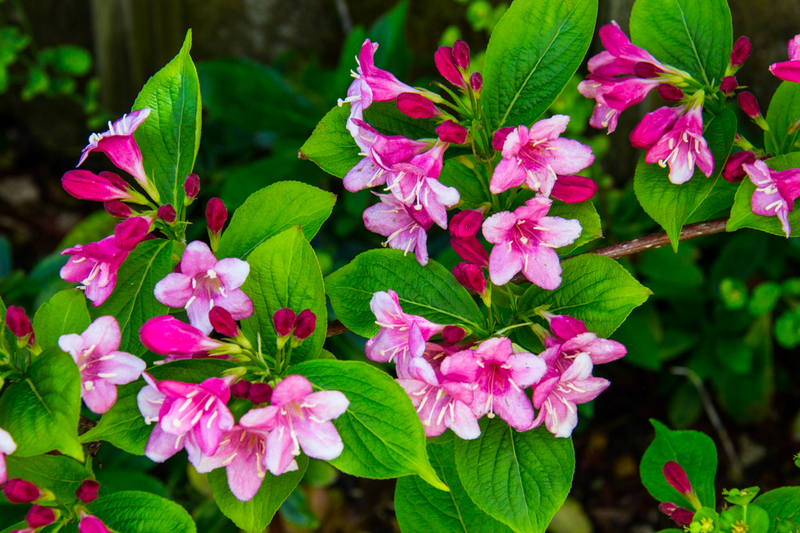 A Weigela in an awkward corner is flowering profusely! I left a few last flowers on the Brunnera ‘Jack Frost’ but cut off the rest of the flower stalks so that the leaves could develop. The green and silver leaves really are lovely, and glow in the shade. The plants have done well in a north-facing bed in Suffolk, on clay soil, but they are also flourishing in London in the shade and on chalk. The plants increase well once established and I have been able to divide and plant in other parts of the garden. The plants in London also come from the original three plants which I bought seven years ago. 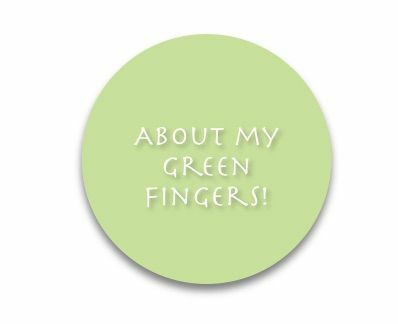 Seven years – where has the time gone? The geraniums are lovely and so reliable: ‘Mayflower’, G Phaeum ‘Samobor’, ‘Johnson’s Blue’, and Macrorrhizum ‘Spessart’. 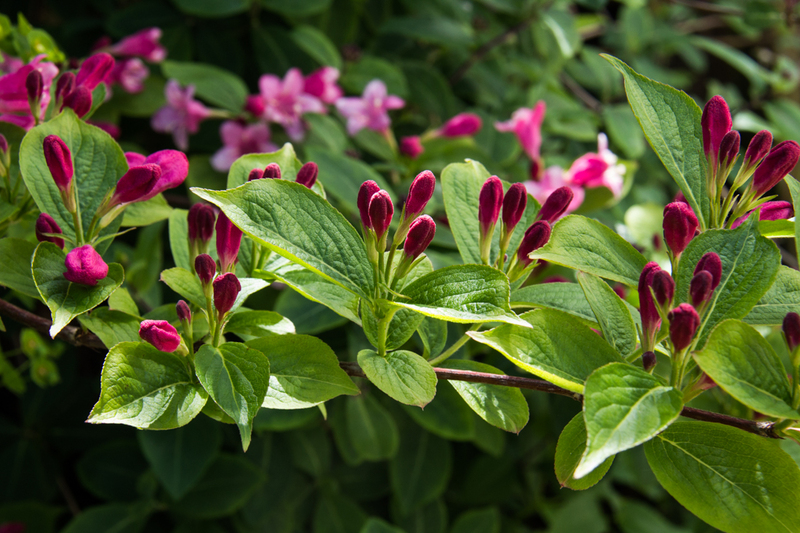 The latter is a particularly tough variety and I find it will even flourish in shade, but I have also found that it does need to be divided and replanted for strong growth and fresh flowers, particularly in a small garden. The pinky white flowers are beautiful and even after the flowers are over there are pretty little red seed heads. 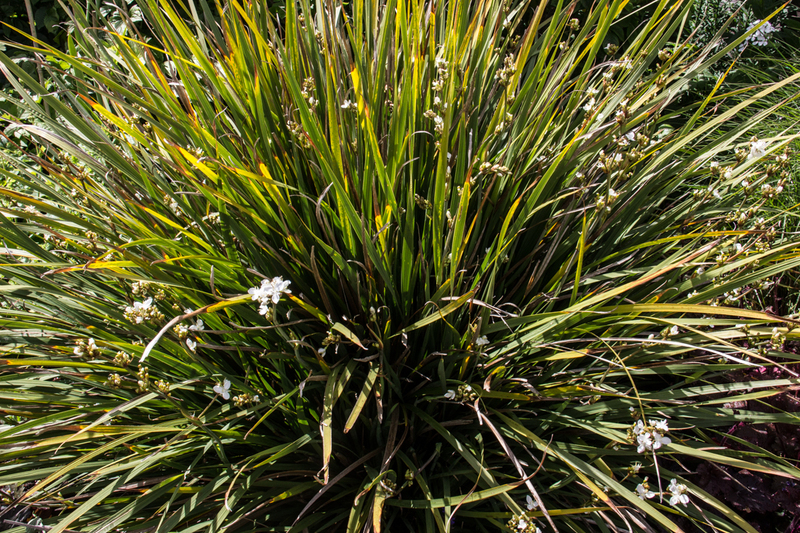 The Libertia was flowering but not as abundantly as last year. It has been in, undisturbed, for six years and is a very big bush – will I have to lift and divide in the autumn? And what on earth will I do with all the plants? Nearby jasmine was growing and the Roseraie de l’Haye was just setting out on a season of brilliant and fragrant blooms. Elsewhere the Persicaria were in full, pink bloom, Alliums were flowering amongst the geraniums, the Lavender was in bud, Luzula Nivea was flowering (even the plant I moved early in the spring was happy! ), the Carex glowed in the sunshine, and the Montbretia were coming up well. For a small garden it was looking good and I was pleased! Looks fabulous and I do like the Brunnera – must get one for my ‘woodland/shady’ border. I find that while the Brunnera don’t like full sunshine they do like light. The plants in the post get a little sunshine in the early morning, but they are on the north side of the house, so no sunshine for the rest of the day, but plenty of light. In London they are in a shady border, at the front, with filtered morning sunshine for an hour or so, but plenty of light during the day. They are expensive to buy but quickly establish and I divided after 3-4 years when the clumps looked too congested. I started with three plants seven years ago and now give them away! The place I’d like to plant them is shady during the day, but gets sun late evening during summer. Probably not much direct sun in the winter. I am finding all plants are expensive! And sadly not having much luck raising them from seed. Would you be better off with ferns? Ajuga? Japanese Anemones? I have loads of ferns there already, need some colour. I could try Ajuga though. At the moment the site gets covered in Herb Robert which spreads like crazy so I’d like to eliminate that as much as possible. 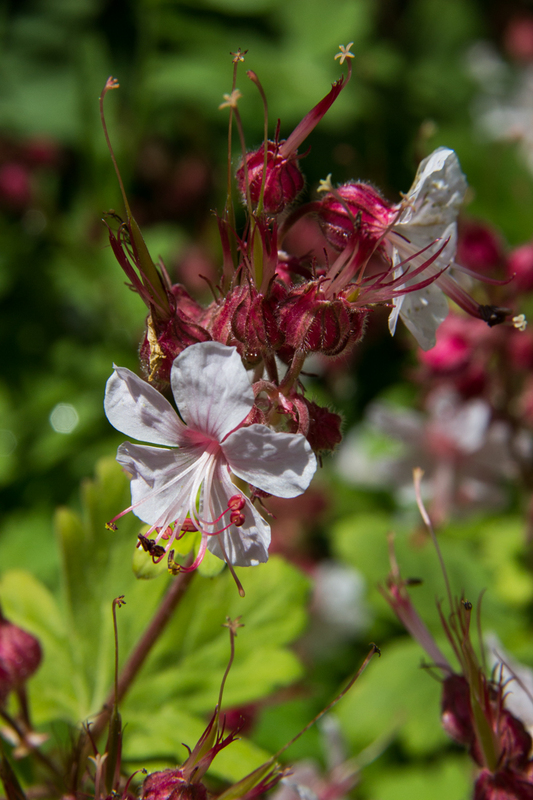 Silly me – what about Geranium Macrorrhizum ‘Spessart’?